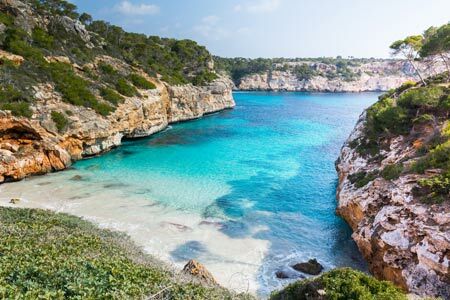 Not long ago I wrote about my absolutely favourite place in Mallorca, but there's more to it. I used to go there a lot in summer and it's been three years already since my last visit. Do you see where I am going with this? Ou yes. Thanks Ryanair for putting 15 euro offers out there and thanks awesome job where I can choose my holiday dates! Loads love to show a good tan and as silly and posh as it may sound... I just get a fabulous one every time I go to Mallorca. I'm thinking that might be the reason I am not keen on going to the beach when in Barcelona? "If it's not Majorca I am not super excited about the beach plan" but believe me it makes a difference! Step aside Via Liberata and Lancaster self tanners, this is a job for the Balearic Islands! I am giving you some tips for those visiting my most beloved island, one of the top destinations for many tourists and Spaniards. Magical beaches, a rich gastronomy and wonderful landscapes make up one of the best combinations for a summer vacation. Although I always go in summer -when I have holidays at work and lots of free time- this place can get really crowded and scorching from June to September. Contrary to what many Europeans might believe, Spain is not the Caribbean. Mallorca is cold in February honeys, so don't go in Winter if you are expecting sun and bikinis all around. The best time to do so is spring, since places are not that crowded and the weather is acceptable, you will get warm days and chilly nights. Cathedral: reformed by the Catalan architect Antoni Gaudí, this cathedral stands up among the charming historical center of Palma. Bellver Castle: uphill, 3 km away from the historical center of the main city of the island, once you are there you get stunning views. Lonja de Palma: built in the 15th century, right in the very center of Palma, this building is one of the most beautiful around town. 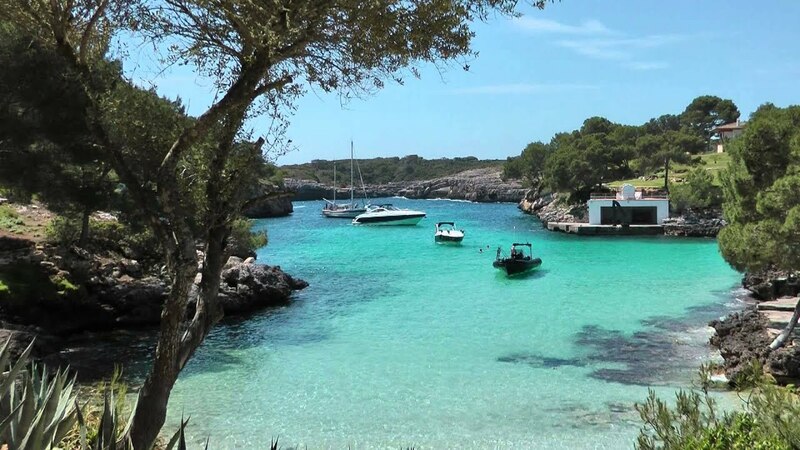 Cabrera: there are organized day trips to this small island where you can see the Natural Park, with a wonderful marine environment, and one of the best preserved seafloors in Spain. Caves of Drach: in Manacor, not near the capital but it won't take you more than 1 hour. These 4 caves are different from everything you can see around the island, and you can attend classic music concerts there too. This beautiful sandy beach has also some rocks and stones and is quite small but offers stunning views. A perfect place to spend some peaceful time since it is not a very crowded one, due the lack of car parks and restaurants (you will have to walk some km to get there and you will have to bring your own food if you plan on spending the day there). Another sandy but rocky beach near the area of Santanyí. This one is also small and hard to reach, which means not a lot of people make it there. I am telling you it's worth the long walk and it will leave you breathless once you are there and see those crystal waters. This long white-sand beach is near Colònia Sant Jordi, though you have to walk around 200m. Quite different from the other beaches I listed, this one goes for the ones who want easy long walks near the water and do not want to drive a lot if they are staying in the capital. The best way to travel around the island may be car or motorbike but public transport is also an option. Of course if you are seeking virgin beaches or some similar to those I listed you will certainly need a car, since they are not easily accessible. This morning, after sinfully indulging on a never-ending coffee frappé (damn you 33ºC Barcelona mornings) and a girly talk with my friend Nidia I went home determined to write my thoughts down. After updating each other on current news and whatevs, we started talking about friends, exes, and the kind of relationships you have with people you dated once, if there is any... I couldn't help but wonder, should we completely remove someone (read ex) from your life? Some of our friends have been removed from Facebook by their exes and their reactions were different but they all came down to a certain disappointment (from "i don't care, i just don't know why he did so" to "wtf does he think he is?!"). From that we jumped to our experiences and found out we didn't really delete those people but instead unfollowed them (actually, only ONE certain person) in order to go on without having to force the "unfriend" awkward move but not seeing them appearing on our social media, phones, let alone meeting by chance in their frequented areas. Is that nonsense? OK you might say Lau what's the point of having him as a friend on fb if you blocked him so nothing can appear to your fb page? And don't get me wrong, I am not doing so hoping there is a 5% chance of making amends. Some say the best option to start your "moving on" phase is to unfriend your ex. Getting over it, letting go and moving on can be hard, but will you stop thinking about said ex just because you deteleted that person from social media? If there is no bad blood, there is no need to remove someone from your life. If you are still healing and want to try but not sure, try unfollowing... so there is no need to know about unless you type his/her name on the search screen...It helped me (and many i guess?) to avoid certain mood swings and low attitudes of a sudden after seeing something related to him. I just don't think i will get to the "ok" level when it comes to this one, compared to some other past relationship. If I stop thinking about you, will you be gone to me forever? My last days in Belgium were spent mostly travelling around the country and discovering small towns with big charm, such as Mechelen. 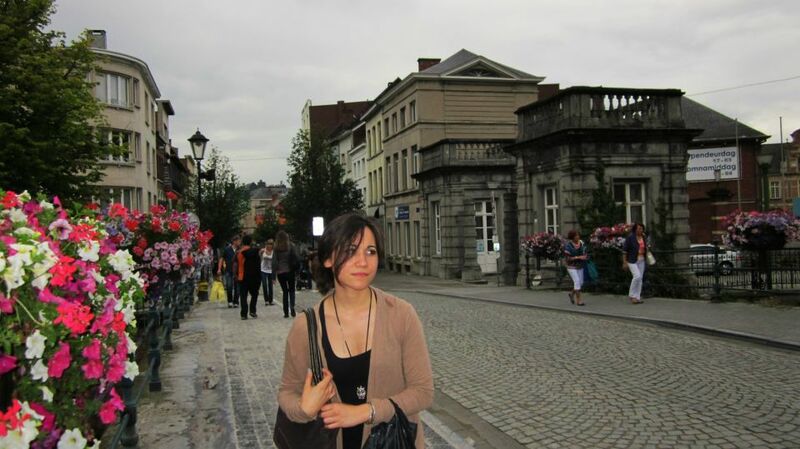 This city lies in the region of Flanders, which I was lucky to be living in. 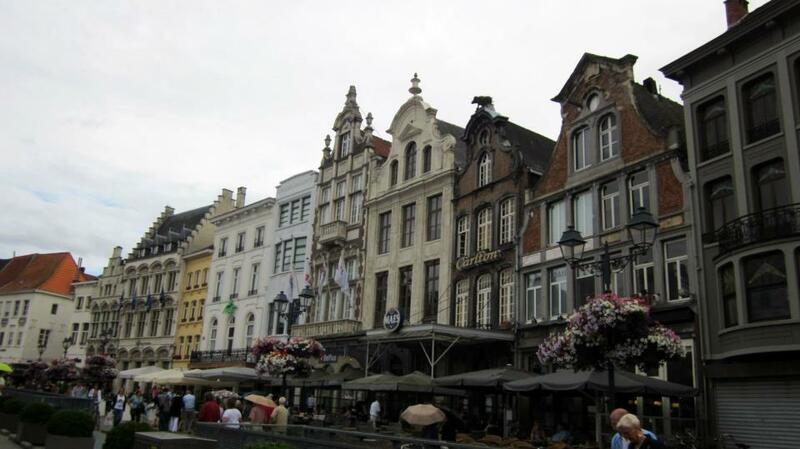 This is one of Flaners' prominent cities of art together with Antwerp, Bruges, Brussels and Ghent. I was visiting only for a day but it was enough to get a glimpse of the charm this town offers. St Rumbold's Cathedral: the cathedral dedicated to St Rumbold, a Christian missionary who founded an abbey nearby. Its tower is UNESCO World Heritage site, the inside is breathtaking, with paintings and sculptures worth to look at for some time. Palace of Margaret of Austria: Charming garden! The façade still has Margaret's coat of arms together with the coat of arms of Charles V and figure of Lady Justice. Margaret was appointed regent of the Netherlands and settled in Mechelen in 1507, she ran the country with tack and foresight. Notable artists and philosophers stayed in this palace. The garden can be visited from Monday to Friday 7.30-18h, and 9-20 during the weekends. Large Beguinage: Charming pinturesque streets inside the town. 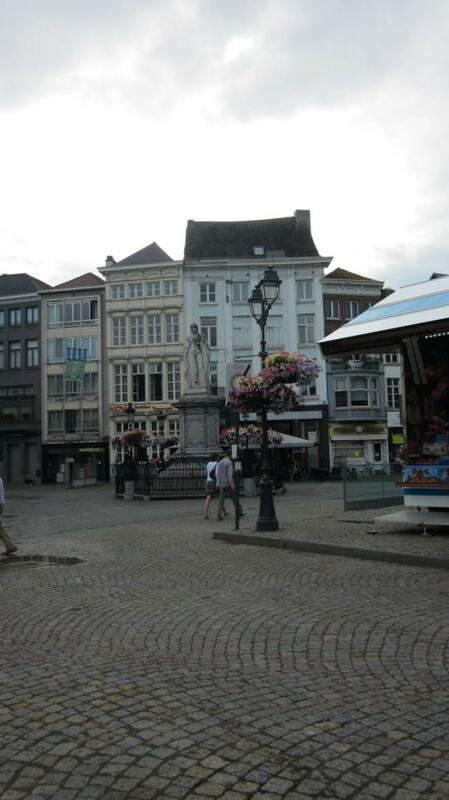 The areas outside the city walls were destroyed in 1560 and the beguines re-established themselves inside the city walls, where this one grew up. Buying existing buildings and building new ones, this grew further and that is why Large Beguinage is different from the ones in other places. 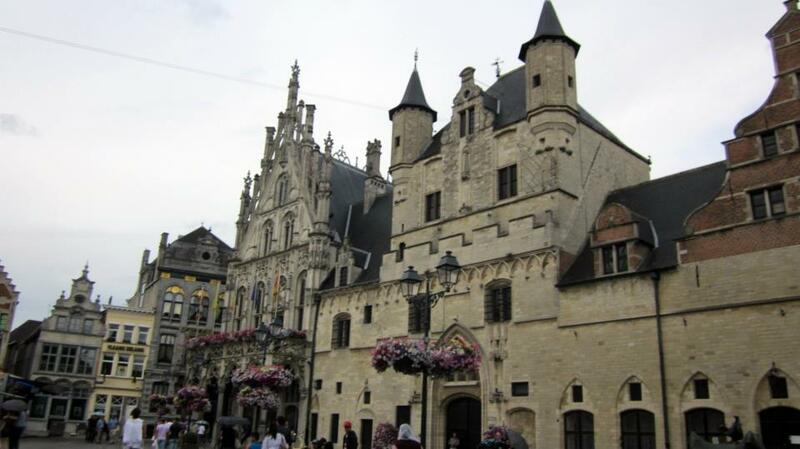 True to the Flemish character and looks, it was declared UNESCO world heritage site. Dyle Path: Locals like to take a walk around this too! So why not join them? The path leads past the Dyle between Haverwerf and the Botanical garden and it is gorgeous! I found this town a perfect place to spend a morning/afternoon/evening with friends and/or family. There are nice restaurants and cafés around and shops too. Plus the place was clean and fully decorated with flowers everywhere so it made it more charming! Apart from visiting all architecture and history-related sites I suggest you just go with the flow and stroll around the cobbled streets in the center of this town. We did so and time went flying, really. Just by having a coffee, entering some stores, taking pictures here and there.. it IS a great way to spend a day off or one of those boring "I don't know what to do today" days!